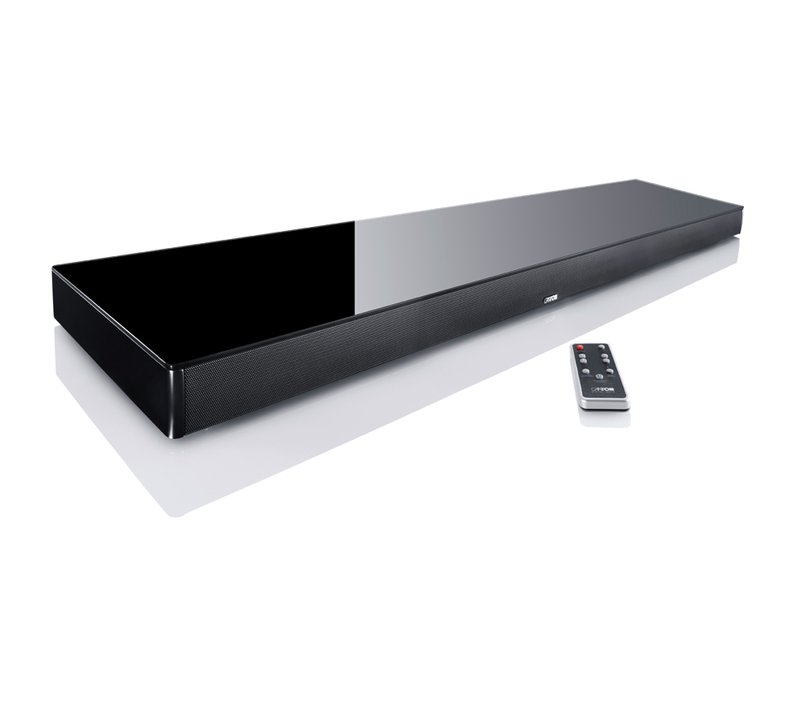 Leading Canton's 2015 soundbar range, the DM 100 soundbar is a larger model designed for larger flatscreen TVs. It boasts a glass top casing, 2.1 channel amplification with 200w of power, two digital inputs, an analogue input, and brand new features such as Voice miode to boost dialogue clarity. aptX™ audio codec support also ensures superior quality Bluetooth® audio streaming from compatible devices.